It’s Thanksgiving break for a lot of kids this week. Are you looking for some great ways to keep them busy? 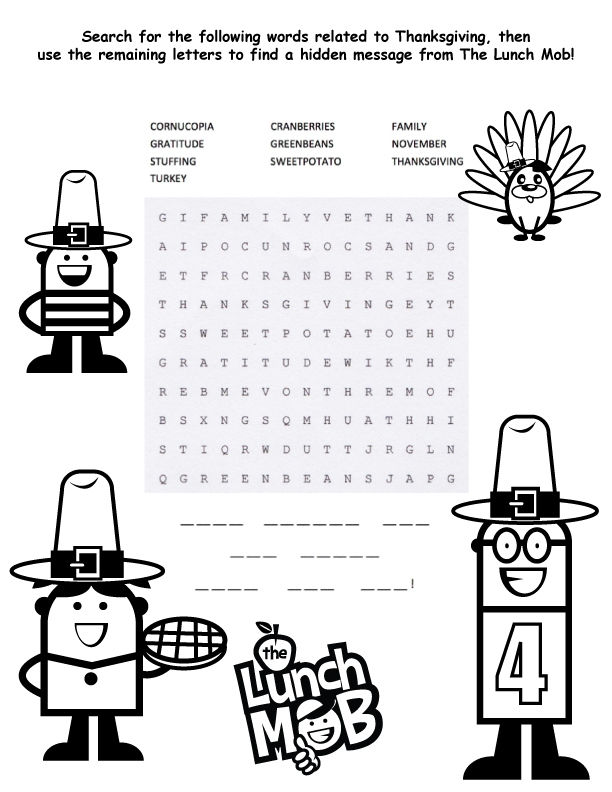 Download this fun Thanksgiving-themed word search puzzle and coloring page. While it won’t keep the kids busy all week, it may help with a few hours. Check back tomorrow for another fun The Lunch MOB activity for the kids to do.